There’s a lot going on in this photo, and I like it more the longer I look at it. The women almost seem to be floating…and there’s the walk sign just on the side. 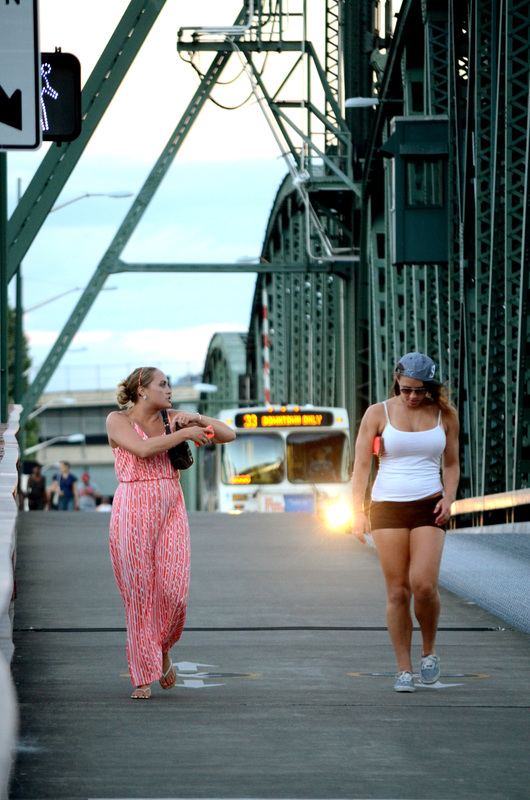 The one on the right wears your shoes, and the bridge…well, we do live in Bridgetown. And public transport. You’ve captured a lot of Portland!